The DSE5220 is an automatic mains failure control module designed to provide advanced load share functionality for diesel and gas generating sets that include non-electronic/electronic engines. The module also provides excellent engine monitoring and protection features. The module monitors the mains (utility) supply and upon detection of a loss in power automatically starts the generating set. 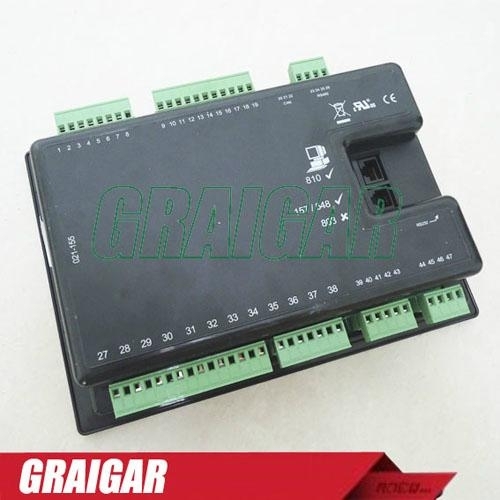 The module has the ability to monitor under/over generator volts, over current, under/over generator frequency, under speed, over speed, charge failure, emergency stop, low oil pressure, high engine temperature, fail to start, low/high DC battery volts, fail to stop, generator short circuit protection, reverse power, generator phase rotation error, earth fault protection, loss of speed signal, fail to open, fail to close, out of sync, MPU open circuit failure, negative phase sequence and loss of excitation.